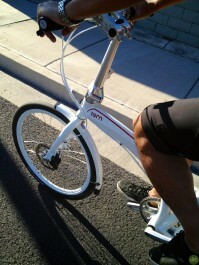 Since their launch, ridden Terns in Vegas. On The Strip, to and from the party house, and around town. Vegas is more rideable than you’d think. Each street is like 3/4 lanes wide. For Interbike this year, I was on a Verge, equipped with SRAM Red.